Finding comments I wrote on Rob Pincus’s Combat Focus Shooting class that I did not remember writing made me wonder what else I have written and forgotten. That took me back into the draft folders on my computer and blog site, in which I found a fairly lengthy reflection on attending my first (the 16th annual) Rangemaster Tactical Conference in 2014. This is especially cool because I am registered to attend the 20th annual TacCon in 2018, and the schedule has been released so there is alot of excitement about it among other attendees recently. 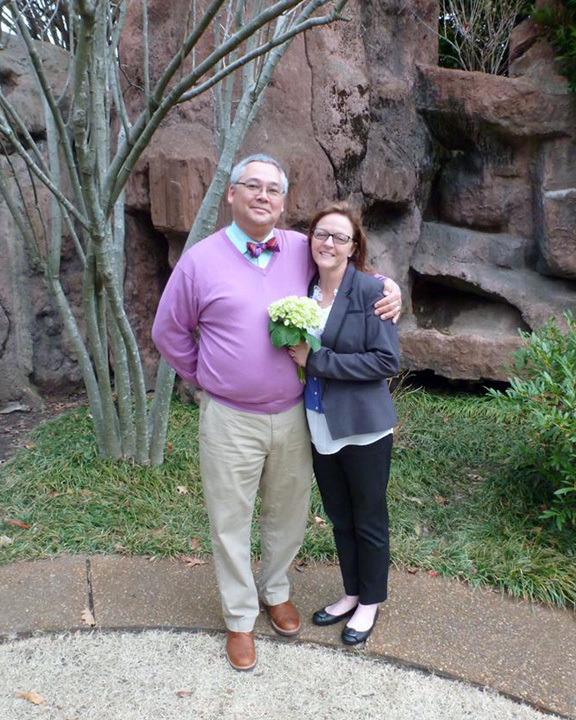 This event was special for me not only because it opened up the world of high level trainers, but also because my wife and I were married the day before the conference, at the Crystal Shrine Grotto inside the Memorial Park Cemetery in Memphis. Wedding ceremony at Crystal Shrine Grotto, Memorial Park Cemetery, Memphis, Tennessee, February 20, 2014. 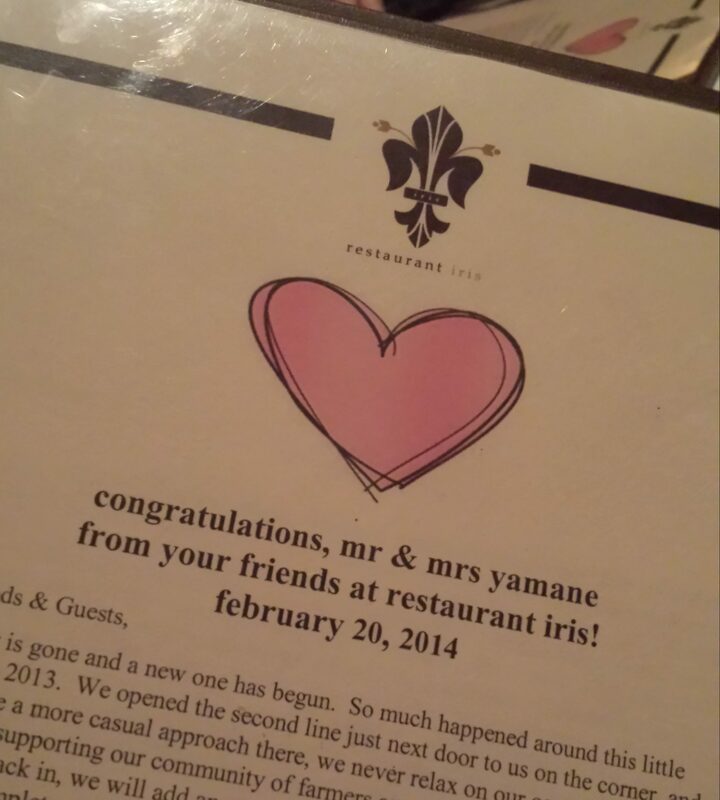 So we honeymooned by day at the Tactical Conference, and around Memphis at night. 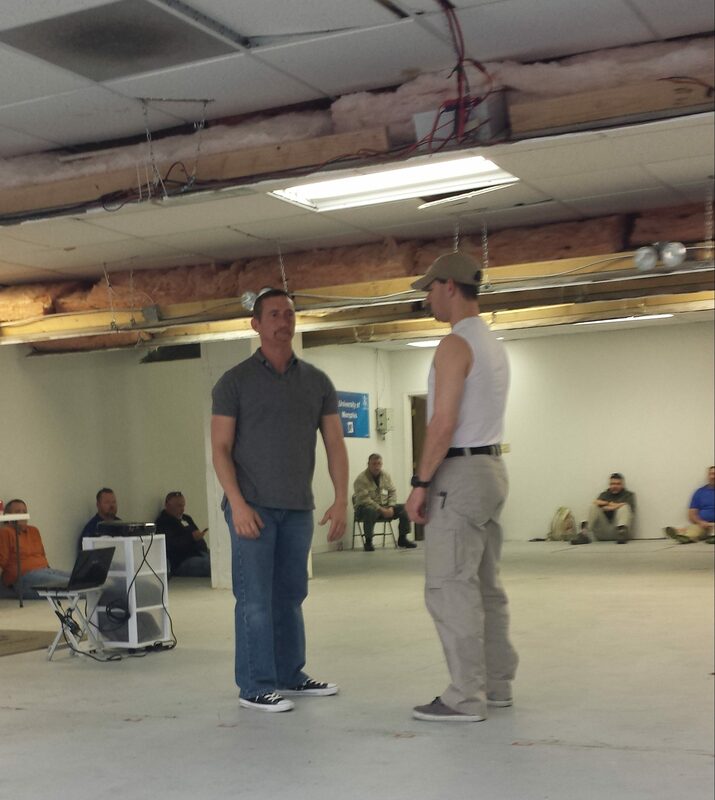 For the 16th annual Rangemaster Tactical Conference in 2014, 140 individuals – including me and my wife – paid $249 to join 22 presenters in Memphis. Even though the cap on enrollment has grown the past couple of years, at least 35 people were turned away after the conference reached its maximum registration. Conference attendees drove or flew in from as far away as Alaska and Florida, and as close as Arkansas and Mississippi. A number of Memphians were also in attendance. When we arrived in Memphis from North Carolina the night before the event, we were greeted by a violent storm, including a tornado warning that triggered emergency alert systems and alarms throughout Shelby County in Tennessee, as well as eastern Arkansas and northern Mississippi. The darkness and violence of the natural environment that day mirrored the social environment. Signs of a struggling city were everywhere – from the moment we landed at Memphis International Airport (which currently has no international flights) amid abandoned Delta Airlines gates to the crumbling factory buildings and boarded-up houses we passed on the drive to our downtown hotel. The city’s unemployment rate doubled from 2007 to 2010, and in the summer of 2013 it had the highest rate in the country. Even the valet at the Sheraton Hotel lamented to us, “You know, we are going to be like Detroit soon.” He made this comment in the time that it took us to get from the lobby to our third floor room. Considering the fact that the Memphis statistical area ranked 4th out of 49 metro areas for unemployment in December 2013, two places ahead of Detroit, it already was. Of course, Detroit is not only characterized by economic struggles, but by crime as well. Here again Memphis lives up to its reputation as “the Detroit of the South.” As I was settling into bed Thursday night and reviewing the course schedule for the first day of the Tactical Conference, the 11 o’clock news was reporting breaking stories of various shootings around the city. By Saturday, the Memphis Commercial Appeal began to catalog the events: “Two women shot at Classic Soul club,” “Woman found shot to death in home,” “Trio of shootings occupy officers,” “Ambush shooting leaves teen dead.” According to the website neighborhoodscout.com, which compiles crime data from the FBI and 17,000 law enforcement agencies nationwide, Memphis scores 2 out of 100 in terms of overall safety. The odds of being a victim of a violent crime in Memphis are 1 in 57 (compared to 1 in 155 in Tennessee). Considering both the 11,500 violent and 42,000 property crimes annually, the odds of victimization in Memphis increase to 1 in 12. It’s hard to imagine that 2 percent of the cities in the United States are worse than this, but if you cross the Mississippi River from Memphis into West Memphis, Arkansas, you enter one of the most dangerous cities in America: 0 out of 100 on the neighborhoodscout rating scale, 1 in 40 chance of being a violent crime victim, crime rates five times the national average, and on and on. Friday morning, the first day of the Tactical Conference, we drive 20 minutes from our downtown hotel to the east side of Memphis, alongside some of the most aggressive drivers I have ever encountered (and I learned to drive in California and have driven in 48 states). Rangemaster is located in a nondescript, tan rectangular pebble dash building, framed by independent car dealers and adjacent to massive power lines. Inside, the building is spacious and functional. 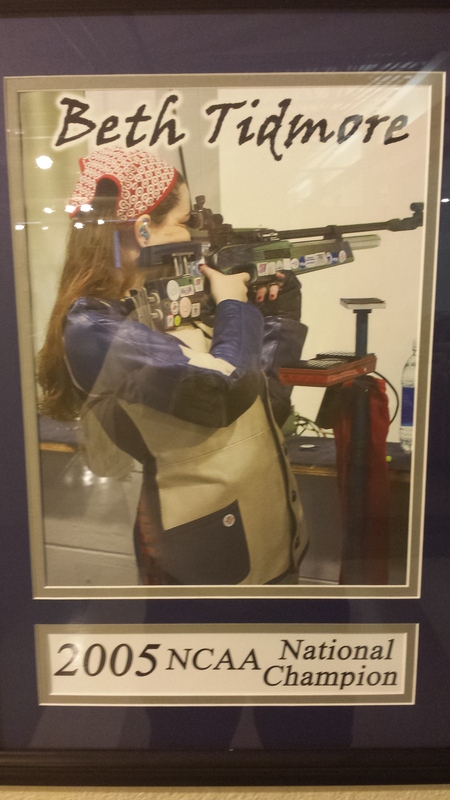 The facility hosts the University of Memphis’s air rifle team – including 2005 NCAA National Champion Beth Tidmore – with a state-of-the art range and electronic targeting system. Also on the ground floor is a clean, well-lit classroom, an indoor pistol range, and a pro shop selling guns, ammunition, holsters, safes, t-shirts, hats, books, and DVDs. Upstairs is a large, open multiuse space. The Tactical Conference runs over three days, Friday through Sunday. Each day there are four two-hour time slots from 8:00 a.m. to 5:30 p.m., with 30 minutes for lunch between the second and third slots. In each time slot, three sessions run concurrently in the classroom, airgun range, and upstairs room, for a total of 12 sessions each day. Because some sessions repeat, there were 25 unique sessions in 2014. Every year the presenters are a who’s who of self-defense trainers, and this year is no different. Some experts are best-known by their aliases. “Southnarc” – Craig Douglas – is a pioneer in the area of managing conflict and contact with potential threats for civilians. The “Cornered Cat” – Kathy Jackson – is a leading teacher of and advocate for women in the world of defensive firearms. “Doc K” is a Green Beret and combat medic who does not use his real name because he is still on active duty. Others are recognizable just by their last name: Farnam, Higginbotham, Werner. And some are likely to be the leading lights of the next generation of trainers. The doors of Rangemaster opened at 7:30 a.m. Friday, and by the time we arrived at 7:35 the main parking lot was already full. After parking our rental car in the overflow lot, we made our way inside and signed in. Seeing a growing crowd in the classroom for Shane Gosa’s session on “Developing, Maintaining and Proper Use of the Mental Trigger,” I grabbed a stray open seat in the 8th of 10 rows. By the time Gosa began his presentation, a standing room only audience of 75 people had filled the classroom. Although not every session over the weekend was SRO, every session was well-attended. Even the presenters took the opportunity to play the role of students when time permitted. During a session on “Performance Under Fire” by up-and-comer John Hearne, I found myself sitting next to one of the founding fathers of armed citizen self-defense, John Farnam, as well as conference presenters Kathy Jackson, Chuck Haggard, Darryl Bolke, and Claude Werner. Although many attendees – two-thirds by host Tom Givens’s account – were trainers only of themselves, family, and friends, there was a still a professional development seminar feeling to the conference. During breaks between sessions, people gathered in the classrooms to make or renew friendships and acquaintances, to “talk shop,” and in some cases to literally share war stories. Often issues raised in the sessions spilled over into the common areas. Waiting in line to buy a hamburger from the vendor set up outside, I overheard a police officer (Greg Ellifritz), civilian trainer, and self-defense enthusiast break down the mistakes made in an incident where an armed citizen stopped to intervene in a situation that appeared to be a man assaulting a woman on a highway median, but turned out to be a plainclothes police officer detaining a suspect. 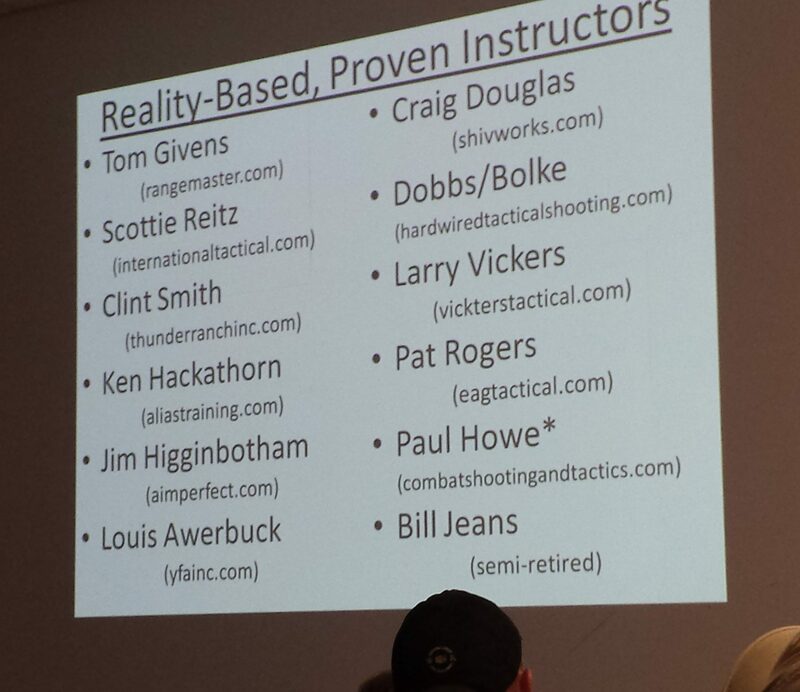 Throughout the Tactical Conference I attended in 2014, if there was one figure who was ever present but not actually in attendance it was Col. Jeff Cooper. No person in the firearms self-defense community is quoted more often or reverently than Col. Jeff Cooper. Gun trainers mentioning his ideas sound like Jesus’s disciples quoting the Messiah: “According to Col. Cooper. . .” and “To quote Col. Cooper. . .” And there is no stronger credential for a gun trainer than to have sat at the feet of the Master and learned from him. Or, if that is not possible, then at least to have had contact with one of his early disciples: Chuck Taylor, Louis Awerbuck, Bill Jeans, Ken Hackathorn, Manny Kapelsohn, Clint Smith, and even Tom Givens and John Farnam themselves, and many others I am surely (and unjustly) leaving out. According to The American Rifleman (5/18/2011), “John Dean Cooper – ‘Jeff’ to one and all – stands alone and unchallenged as the most influential ever to hold forth on small arms doctrine and technique.” The techniques he developed were adopted in all branches of the U.S. military as well as law enforcement agencies “from the FBI Academy to Mayberry RFD.” And through his American Pistol Institute/Gunsite Academy and the many trainers influenced by it, he continues to exercise an enormous influence on civilian firearms training. Just as the Rangemaster Polite Society Tactical Conference does today. 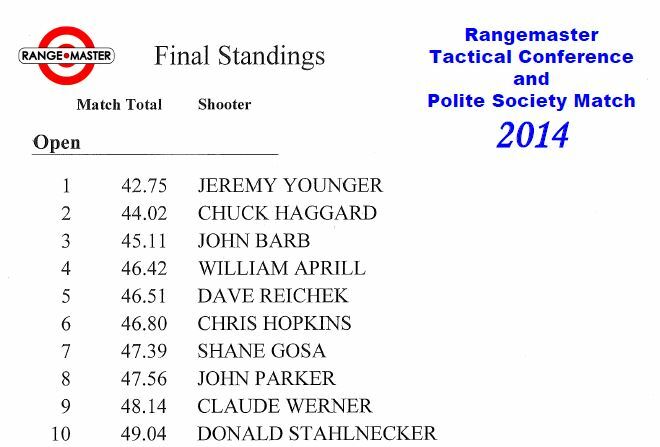 Tags: Col. Jeff Cooper, Polite Society Tactical Conference, Rangemaster, Tennessee, Tom Givens. Bookmark the permalink. I sometimes wonder if I even know what I wrote on my own blogs back several years ago or if I would recognize the writer. Its undoubtedly an evolutionary path as I thought more about these topics and wrote more. Thanks, David, for all you do to help those who are willing to follow you in understanding the firearms community. Rob and you make the obvious point about those “one in a million” statistics. Its kinda like giving one set of instructions on what to plant in a garden, not recognizing that the US has both tropical rain forests and Death Valley. There is not one “average” location in America as far as needing to worry about self defense and we all know that if we are honest. It depends on where you are and the risk-benefit equation is highly localized. Ask anyone in emergency medical response in any town or city of any size and they will tell you the most dangerous place to be is the street corner. The most dangerous thing to be doing is minding your own business. And the most dangerous attackers are all urban Ninja’s that strike from nowhere and disappear to nowhere.